Bonnie. 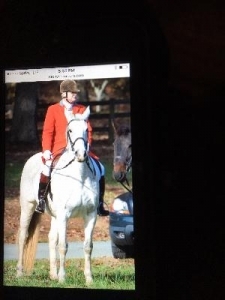 Made field hunter who has hunted 1st, 2nd and 3rd flights with Farmington, Bull Run and more. For sale to a good home only. 16.1 hands Percheron cross, 15 years old.